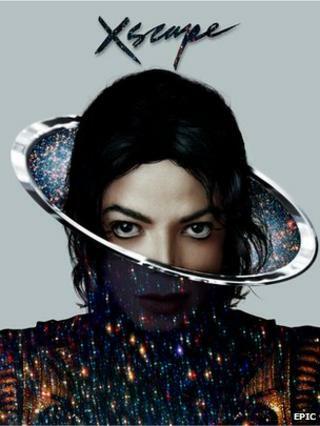 A new Michael Jackson album, featuring eight new tracks from the late artist's archive, will be released on 13 May. Titled Xscape, the track listing was chosen by Epic Records chairman LA Reid, who trawled through four decades of Jackson's demos and off-cuts. The tracks were then updated by the likes of Timbaland, who works with Justin Timberlake, and Stargate, who have produced Rihanna and Beyonce. Reid called the process of reworking the songs "contemporizing". "Michael left behind some musical performances that we take great pride in presenting through the vision of music producers that he either worked directly with or expressed strong desire to work with," said Reid. "We are extremely proud and honoured to present this music to the world." A deluxe edition of the album will also feature the eight tracks in their original form alongside the remixed versions. Xscape is the only track on the album to be updated by its original producer - Rodney Jerkins, who worked on the sessions for Jackson's final studio album, Invincible, in 2001. John Branca and John McClain, co-executors of Jackson's estate said: "Michael was always on the cutting edge and was constantly reaching out to new producers, looking for new sounds. "He was always relevant and current. These tracks, in many ways, capture that spirit. We thank LA Reid for his vision." Other producers involved in the project include McClain and Jerome "J-Roc" Harmon. Jackson died on 25 June, 2009, at the age of 50 from an overdose of the powerful anaesthetic propofol. He had been out of the public eye for several years but was preparing for a series of comeback performances at the O2 arena in London. Jackson, who was nicknamed The King of Pop, had dozens of hits during a career that began in childhood with the Jackson 5. His biggest solo hits included Thriller, Beat It, Billie Jean, Bad and Man in the Mirror. Among its better tracks were Hold My Hand, a duet with R&B singer Akon which was almost complete at the time of his death, and a cover of Yellow Magic Orchestra's Behind the Mask, which dated from the 1980s. But critics were not keen - with The Guardian calling the album "lumpy" and "schlocky". Rolling Stone magazine noted: "He would not have released anything like this compilation". However, the album sold relatively well (although well below the 51m he achieved with Thriller) paving the way for future compilations.